The event is the most popular road race in Malaysia and this year saw a record-breaking 33,000+ runners. 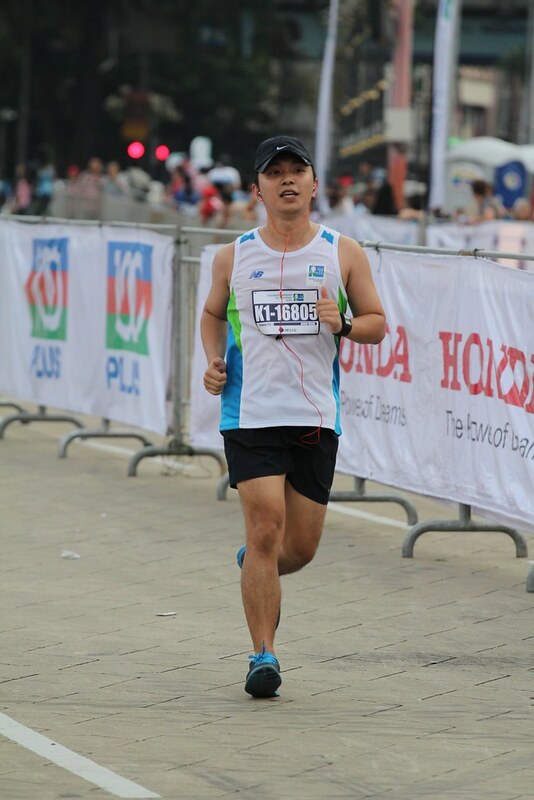 SCKLM had to be postponed from its original date in June due to the haze situation, but the event last week was top notch. I felt that it was really well-organized and let the runners really enjoy the race. Besides the logistical preparations, the organizers also did a great job communicating the event info and everyone seemed to know exactly what to do when they arrived. Our race times were also fed to the Runpix website to visualize our stats. It was also fun to see that I passed over a thousand other runners but allowed 800 to overtake me during the course of the race. I came into the race feeling slightly under-prepared. I was hoping to complete the race without taking any walk breaks. However KL is more hilly than I anticipated and had to take about 4 walk breaks! Hangs head in shame. At the end, I was happy to achieve a personal best of 1:04 for the 10km distance and finishing 1:08 for the race. The sub-1 hour 10K still eludes me! Perhaps I’ll achieve that goal next year, although I’m itching to try a half marathon (21km).. We’ll see how it goes!